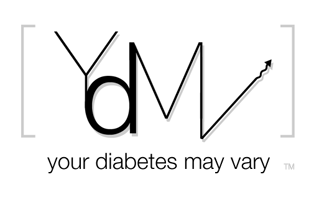 Your Diabetes May Vary: Seven-One Six-Nine Six-One Hike! It is the first Tuesday, after the first Sunday, after Labor Day. That means the Eagles lost an embarrassing season opener playing below expectations and it is check up day for the diabetics or it is election day. TV has been blessedly free of electioneering ads. I'll take the ED ads or old Wilfred's diabet'us ads over politician ads any time. So it must be check up day. When you have two kids with type 1 it makes life a lot more manageable if you double book the endo. team. We took Connor in for Delaney’s first visit for moral support and they have been going in together ever since. Delaney was never admitted. She was diagnosed on a vacation in Disney World and with the telephone help of our CDE and Dr., together we got her stabilized without a hospital stay. We went in that first day back home to check in maximizing vacation time. We have priorities. Disney comes first. Connor had announced the he was going to be responsible for his diabetes in July. This was something he picked up at FFL. He was gonna own it. Last night he was sure his A1C was going up. Part of the ritual is measuring height. Connor measured out at Six one. We had them double check yeah 6’1”. Oh and he’s 124 lbs. Bean pole. Well the height sure was up. Delaney has had lower A1C for a long time. At first it was honeymoon but later well she was just lower. Not a lot but constantly lower. Today she was a very respectable 7.1. She has issues feeling lows and any lower could be a problem. We need to work on getting her numbers a little less variable, better set rotation, more consistent bolus before eating and maybe a tiny bit less forgetting to bolus all together. She was cool with that plan. Connor’s A1C was an outstanding 6.9. I think I had joked he could take a day off school if he was under seven when we thought he was going up. I could read him remembering it in his eyes. He is cool with that plan. I called Jim at Animas who gave the teen talks that inspired Connor at the conference and thanked him. That conference thing paid off. Hey Jim, you got any ideas for the Eagles? Awesome A1Cs!! But yet even more awesome is Connor owning his diabetes!!! Congrats, and hats off to him, and ears up!! !